Hi friends! Below is my Facebook live video link that I shared as well as links to all the products I talked about in the video. I also included the dosage. Activated B12: Works like a happy pill almost. Boosts serotonin levels. I take 4 capsules 3x a day. Dolomite: Helps your body's heart rate slow down. I usually take this if I'm feeling anxious. It's not going to CURE the anxiety, you will have to work to take control of your thoughts and take yourself down. This just helps with the physical reaction of your heart beating extremely fast. Magnesium is in dolomite which is a natural heart relaxer. I take 2 if I am feeling anxious and 4 every night before I go to bed. Liquid Copper: This helps with depression. The dosage I personally have been taking is 4 drops every hour. This obviously has been hard to maintain but I see an extreme increase in my overall body when I'm consistent. These amazing fruit and vegetable capsules have changed my life. They've changed my life so much that I decided to become a rep. They are not vitamins but are 30 different fruits and vegetables are packed into capsules or gummies (either or depending on your choosing). Be sure to watch the Live Video I shared to hear my story and about how they've changed my life. If you have questions, feel free to message me on Instagram or shoot me an email. If you're interested in purchasing, you can head here. How to Switch on Your Brain: This book is amazing with helping you realize the effect your thought life has on your overall body. It has a brain detox 21-day program that I walked through and helped me tremendously. I am running three times a week and walking twice a week. I cannot tell you how much exercising benefits your anxiety and depression! Thank you all so much for reading and watching. Your encouragement and love mean the absolute world. I hope that this reaches the people it needs to and you are encouraged to know that YOU ARE NOT ALONE. 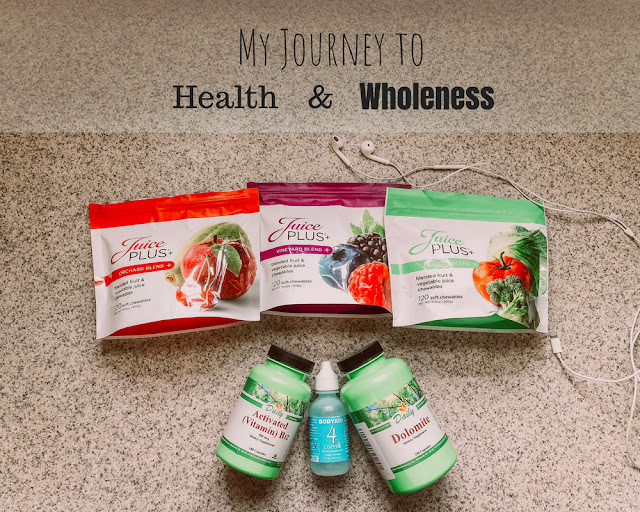 Disclosure: I am by no means a doctor, I am just sharing what has been a success for my body and my health with hopes of helping other people struggling with similar issues.